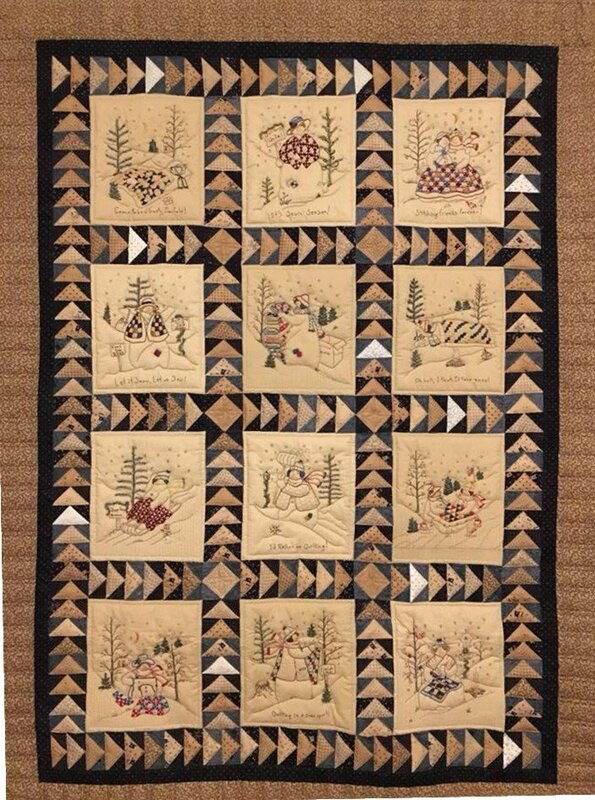 All twelve individual quilting snow lady designs. 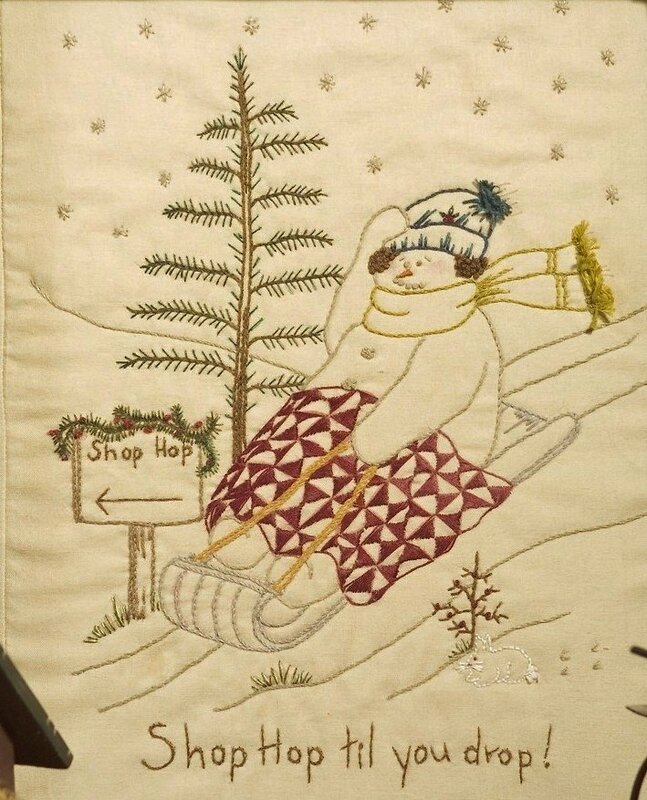 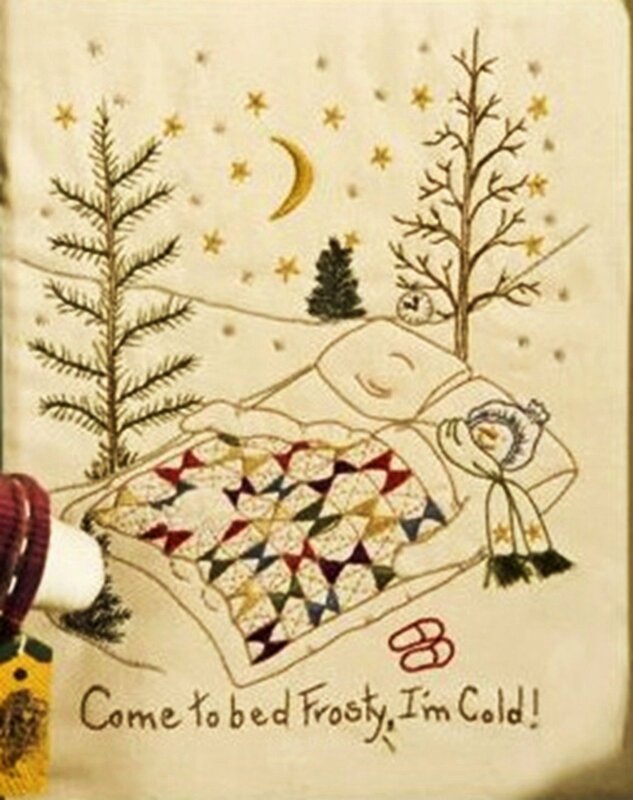 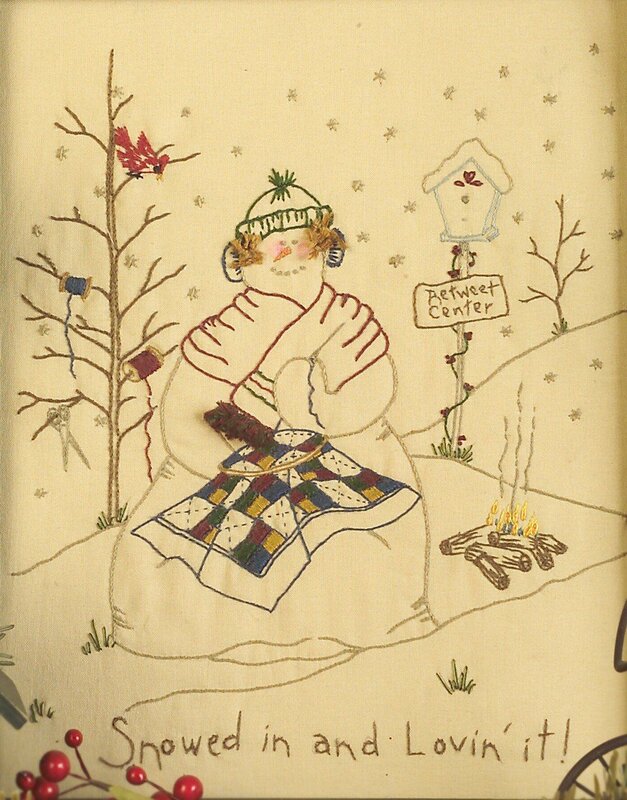 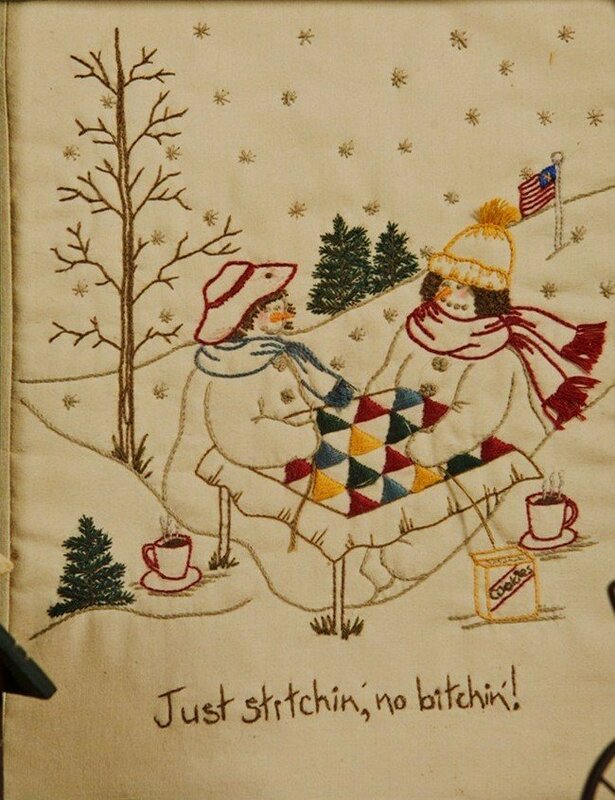 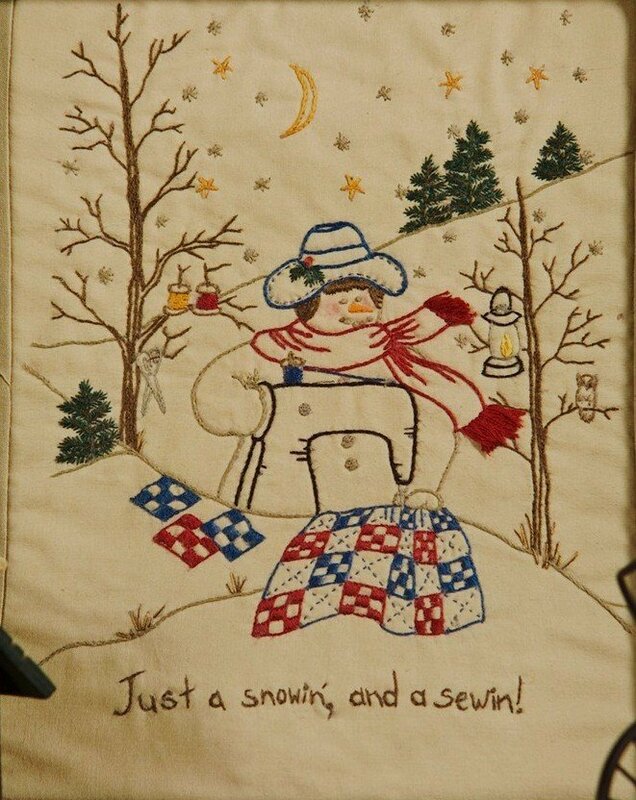 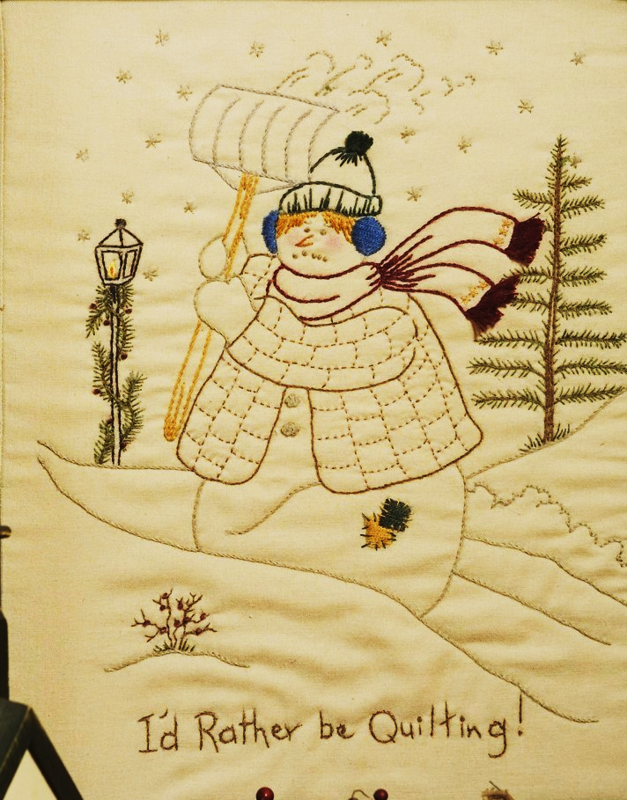 There are a total of different quilting snow ladies, they live in the elements and that is where they do their quilting, under the stars, by the bonfire, and sometimes while the snowflakes are falling. 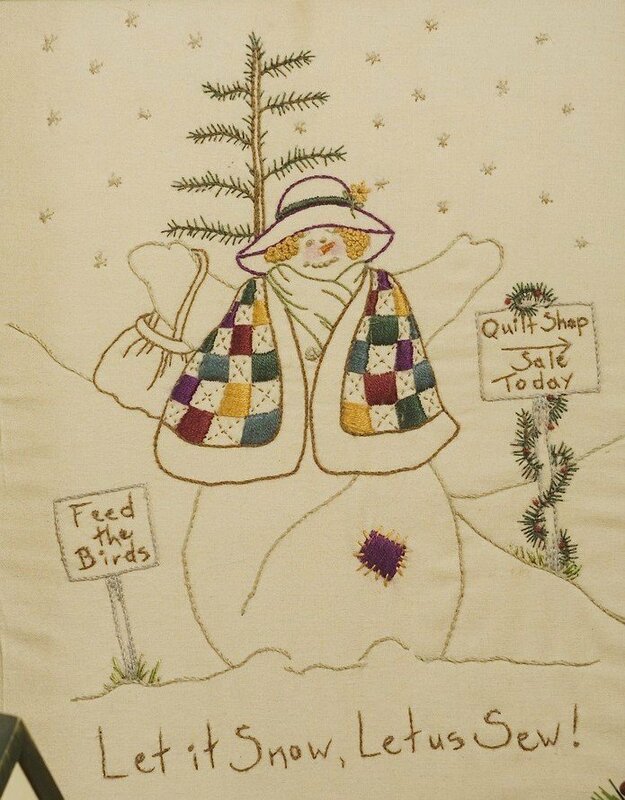 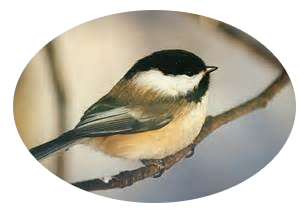 They use the drifts to set their machines on, the trees to hang their scissors and thread, and they are often visited by wildlife, a bunny,the birds and sometimes an old hoot owl. 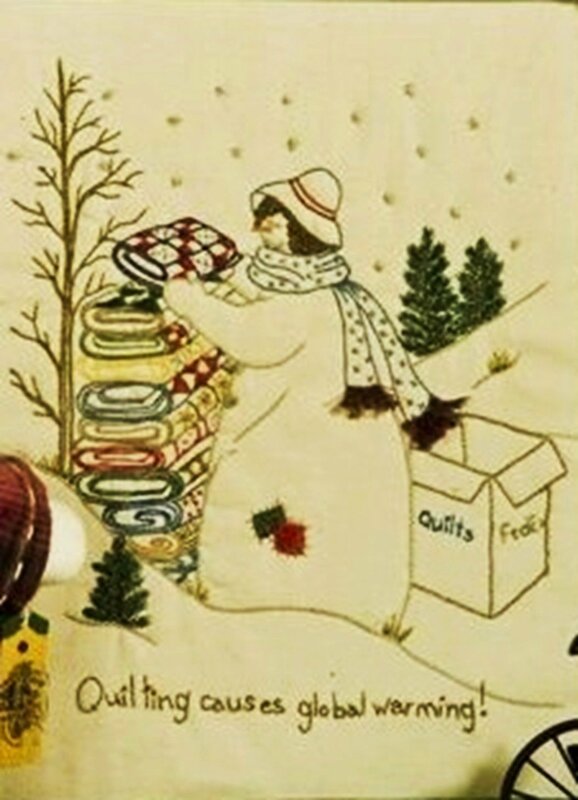 Keeping the world warm is their biggest achievement. 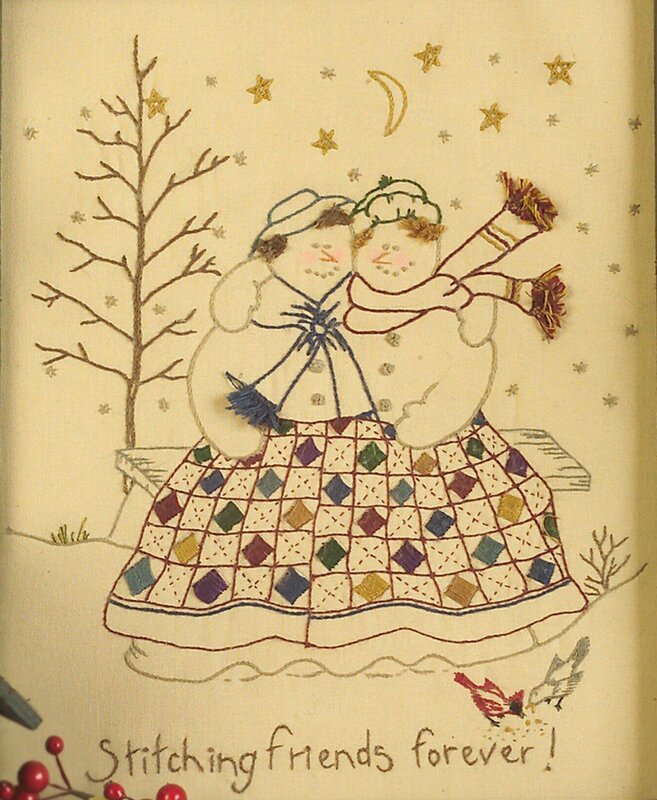 There is a floss pack for this club and they can be traced either on Natural colored fabric or a light tea dye fabric. 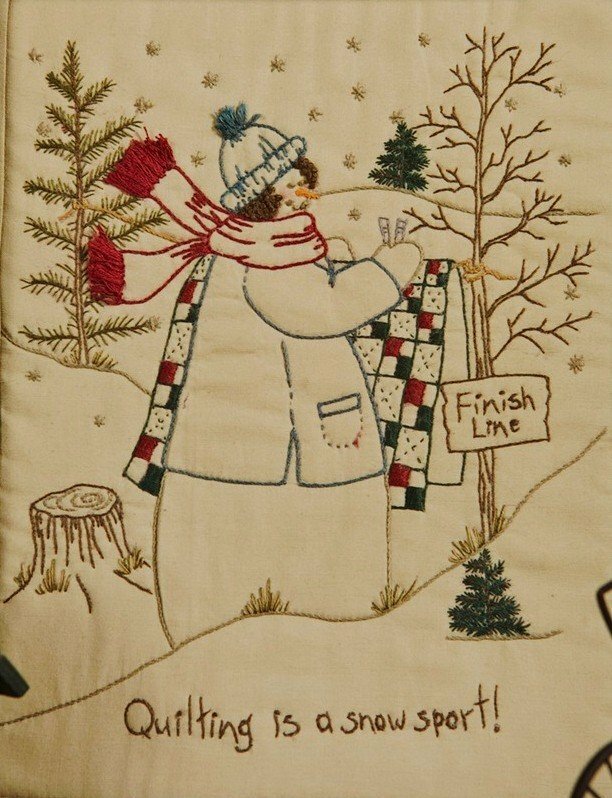 There is also a set of pre-printed snow ladies, (all 12) designs that can be purchased for an extra $39.00 They are pre-printed on Natural and are ready to start stitching; this is only for those who do not want to do the tracing.